The customer profile gives you an overview of information that you have about a customer. This information can then be accessed from Jira (and Confluence for cloud users). Customer information is saved in companies and contacts. Use these to save information about people and organizations. Templates define what information you can save for each company and contact. The default template contains popular fields that get you started in no-time. Admins have the option to update templates, so you can save the type of information that fits with your business. The customer profile consists of a company and its contacts. Link contacts to one or more companies to indicate who they work for. 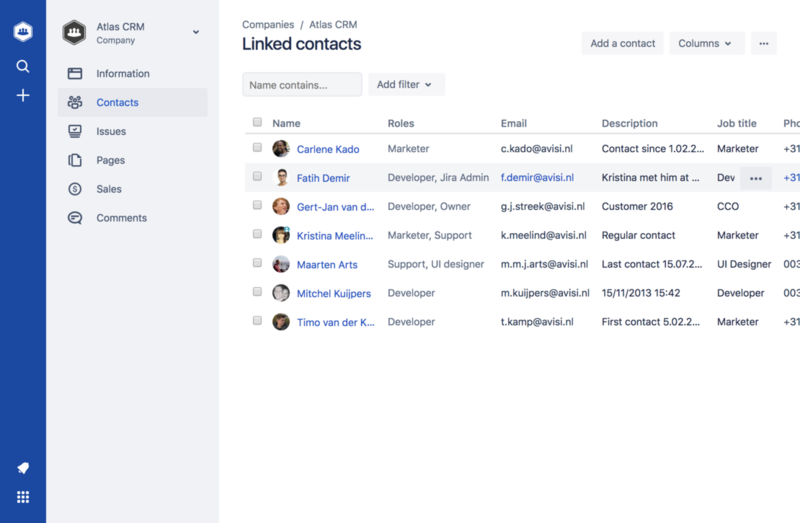 Add a role to the combination of a company and a contact to indicate what someone's function within a company is. 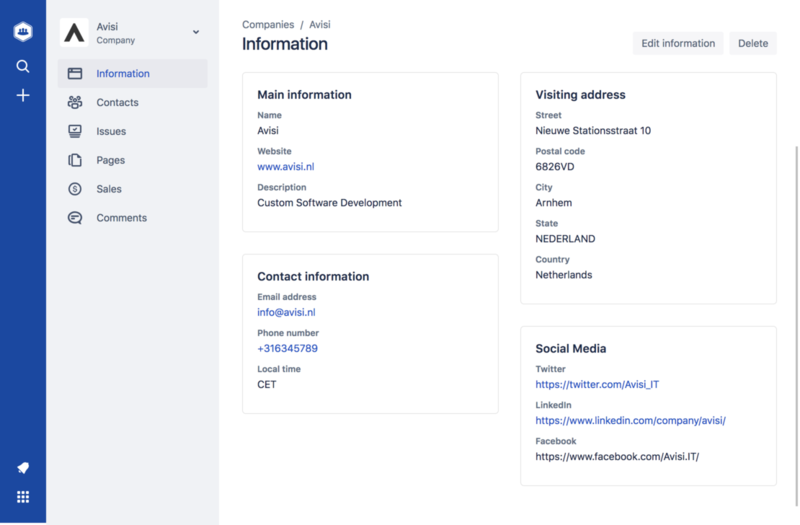 You can link a contact to as many companies as you want. Or it can live on its own. You have the flexibility to do as you see fit. Cloud users have the option to add comments to companies and contacts. 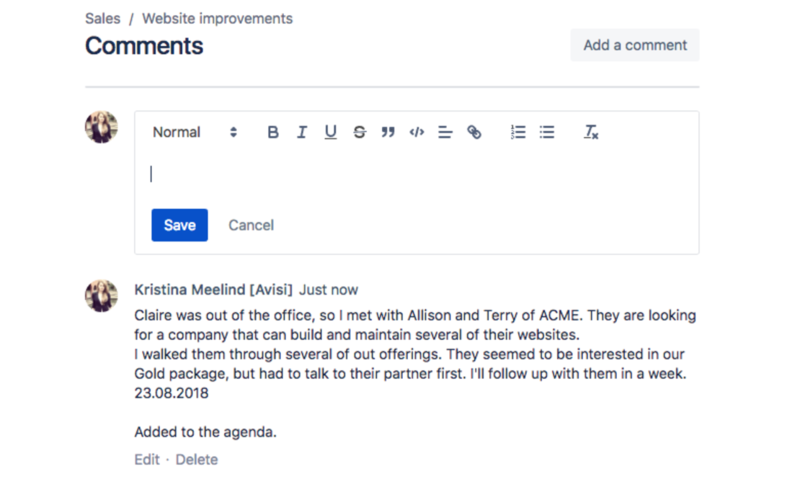 Comments can be used to share notes, interactions and more with yourself and your team.